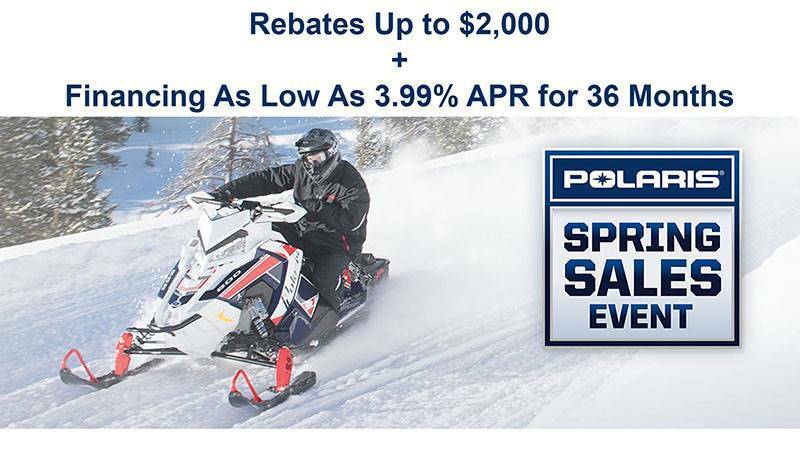 The 600 Switchback® SP snowmobile is for true 50/50 crossover riders that need a versatile sled able to stand up to all types of terrain. Its lightweight AXYS® Chassis and IGX 144 Rear Suspension paired with the 600 Cleanfire® Engine deliver Rider-Balanced™ Control, Unrivaled Acceleration, and Rider-Centric Comfort. LIGHTWEIGHT: The Switchback SP on the AXYS 144 platform is the industry-leading lightweight 50/50 crossover snowmobile. It allows you to get up on top of deep snow faster and offers quick acceleration. 600 CLEANFIRE ENGINE: The 600 Cleanfire® engine is part of the Polaris family of Liberty engines built in the USA. This engine is a 600cc, liquid-cooled, SDI engine that provides proven reliable performance, instant acceleration, easy starting and great response. AXYS® PERFORMANCE SEAT: The AXYS Performance seat utilizes a high-performance seat foam, and the seat design is narrower in front to provide greater maneuverability: The seat is lighter without compromising comfort, improved ergonomics and stability, seat top features a gripper material that helps keep the rider in place. INTEGRATED STORAGE: Standard storage was designed and developed right along with the AXYS platform, so it installs securely and features seamless, integrated styling that matches the sled’s design lines: Compression-molded materials provide semi-rigid storage and enhanced styling, Sturdier zippers provide better cargo security and protection, Installs without tools. POLARIS IFP SHOCKS: Built for the 50/50 rider, these Polaris® IFP Shocks provide increased handling and control both on and off the trails.